Observation of Conscript's Day is aimed to raise the importance and prestige of the military service and improve the military education of the youth. This day is observed only by men at the age of 18-27, who can be conscripted to the Russian Armed Forces. 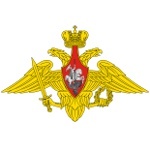 Various events may be organized by military commissariats (local military administrative agencies), including excursion to the military units, museums and weapons exhibitions. The military commissariats also work with conscript's parents and organize educative meetings for them. Solemn meetings with the veterans of World War II and the participants of the counter-terrorist operation, military parades and special forces demonstrations can also be organized on this day.